Gems at a Christie’s Auction - Reading For New Times – Exposing Intellect, People and Esthetics. Christie’s is having a couple of auctions coming up this week. I was going through their auctions looking for a specific piece of art and happened upon some gems. For those of you who have never considered an auction for a piece of art, Christie’s makes is fairly easy allowing you to bid on-line during the auction. You can sign up for free and track a few pieces to see how the auction process works, however if you want to bid you’ll need to submit your banking info before hand. While I have highlighted some of the gems in the Post-War and Contemporary Art Auction taking place September 9th and Impressionist & Modern Auction on the 10th, don’t be put off by the price tags. There are lots of auctions and many interesting pieces for as little as a couple hundred bucks, but don’t forget to calculate for the 25% buyers fee as well as shipping costs. The internet gives everyone the chance to bid on some fantastic pieces and even if you have no intention of bidding the Christie’s site is a sort of dynamic art museum. The above piece, 1978 BWM 320 Art Car by Andy Warhol, is what I would consider a typically over-priced auction item, not one I would try for as there is little chance of a steal. 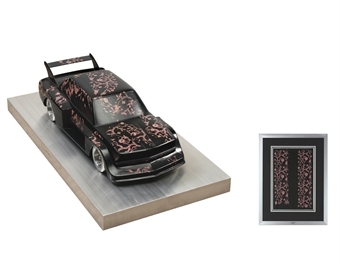 In 1978, BMW commissioned Andy Warhol to design the exterior of a 320i coupe and in the process he painted a scale model, which is on auction here. The car is called an extreme rarity because essentially it is only BMW painted by Andy Warhol, ever. While the description which suggests a juxtaposition of industrial and decorative arts, I think the estimate of $250,000 to $350,000 to be representative of the over-hyped market for Warhol pieces. While I respect Warhol’s body of work and quite enjoyed his Campbell soup pieces in the MoMa in NY I wouldn’t say this piece screams Warhol or even is an exciting piece to display. Watch bidding to go fast and furious for piece of German engineering decorated by an American icon. This painting, MoM Block 99 by Michel Majerus, caught my eye for a couple reasons. First, it was painted relatively recently in 2000 by an artist who subsequently died (in a plane crash) in 2002. Second, it has only existed in one private collection since it was bought and this is its first auction. Third, Majerus is more known for his digital media as well as pop culture infused paintings. This abstract work is a departure from that. This painting shows off Majerus’ underlying painting style, stripped of its political commentary and highlighting his creativity and experimental nature. A chance to get an unusual painting for what could be an attractive price given the factors above. Estimate of $30,000 – $40,000. 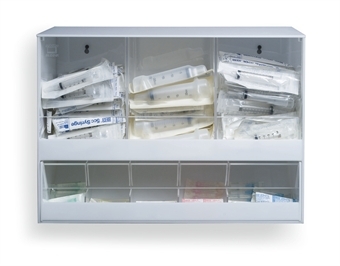 This work by Damien Hirst entitled Love Will Tear Us Apart was created in 1995 and features a cabinet fronted with plexiglass and filled with syringes, it is number 21 of a series of 30 and is estimated to go for between $20,000 and $30,000. This work has changed hands a couple times but I found it interesting due to Hirst’s fame (or infamy) as an artist. Hirst is a prominent young British artist who rose to fame while exhibiting work at the Saatchi Gallery in North London. The Saatchi Gallery is one of the best places to view and even talk to online (via IMs) the best in young modernist artists, I would highly recommend visiting. Hirst is probably best known for his work The Physical Impossibility of Death in the Mind of Someone Living which is a dead 14 foot Tiger Shark in a formaldehyde tank. Steven Cohen, the founder of the SAC Capital Partners hedge fund, bought it for $8 million. It is now displayed in the Metropolitan Museum in New York. I had the chance to see the work recently and personally love both the concept and the execution. The piece for sale is neither as cutting edge nor as compelling and is only one of thirty produced. That being said it would make a killer conversation piece. 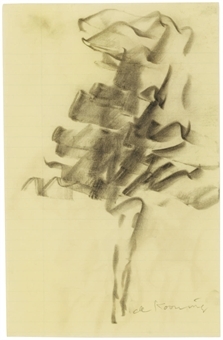 This sketch, by abstract expressionist artist, Willem de Kooing, estimated at $15,000 – $20,000 was drawn with charcoal on paper in or around 1972. It was a sketch, potentially to be used in a painting. The piece has been in a couple of previous auctions and therefore is likely viewed as an investment. This is a comparatively inexpensive way to get a work by de Kooning, who as an artist is in the top tier of abstract artists, often compared to his contemporary Jackson Pollock. In fact, in 2006, Stevie Cohen, same guy as above, bought Willem de Kooning’s painting entitled Women III for $137.5 million. 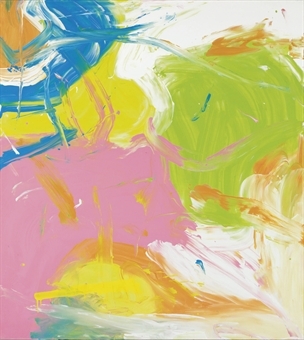 There is a reason why the sketch above is going to go for at least $15,000 and that is de Kooning’s pedigree. If you don’t have the $15K, check out de Kooning’s Woman I, also located in the Museum of Modern Art in New York. 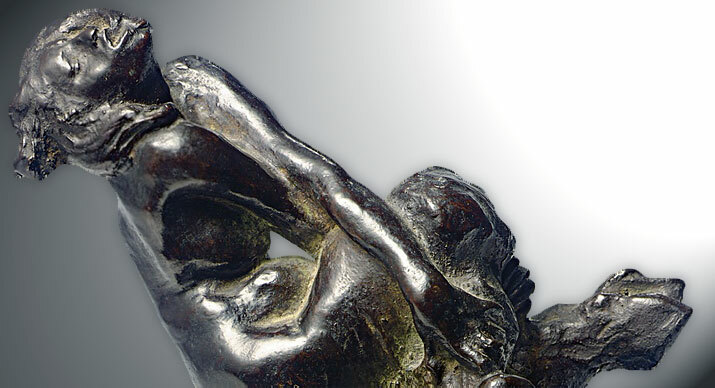 The sculpture above (and the title shot), entitled La Faunesse Zoubaloff, by French master sculptor Auguste Rodin, is a fantastic example of a gem which can be found at auction. Rodin, is basically the originator of modernist sculpting and this work, from 1885, was created around the same time as Rodin’s master work, The Thinker. This work shows some of the key pieces of Rodin’s genius including his turning away from ‘classical’ sculpture and talent for surface modeling – notice the expression in the face and movement in the hair. 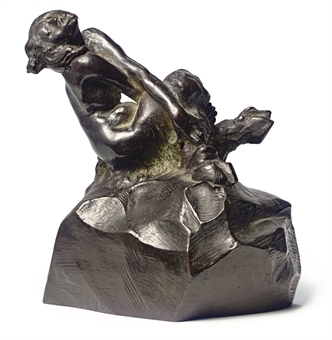 Yes the work is only 7 1/2 inches tall, but to me, this Rodin, a relatively obtainable work of one of the masters of modern sculpture, would be the prize of the auction and I have to think that it goes for more than its estimated $15,000 – $20,000. Obviously not everyone can or would choose to spend into six or seven digits (or four or five for that matter) for a piece of art, however by viewing the pieces that come up for auction and associating them with the estimated prices (or even tracking them to auction), one can get a better understanding of how and why art is priced, as well as gain a further appreciation of different kinds of art. As a Canadian, whenever I watch the Olympics I always compare our performance to that of the US. Of course, Canada will never compete on a medal for medal basis with the Americans and indeed the recent Beijing Summer Olympics has made it appear that the globe is currently in a dual-pole medal universe revolving around China and the US.